[Music]: Iwàlewà – Bayo Ododo. 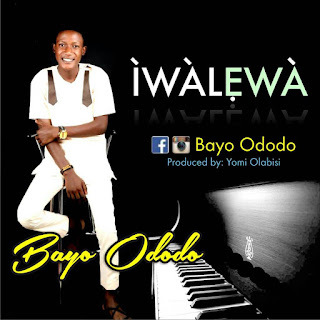 ìwàlewà is a new song from Bayo Adeeyo popular known as Bayo Ododo. He's a young dynamic songwriter and poet from ladoke akintola university ogbomoso. His delivery on this one will make you keep repeating the song over and over. Iwalewa is a love song and it brings us back to the moral lessons of love. The piece was produced by Yomi Olabisi. Wow.... It's a nice music everyone must listen to. I can't take it away from auto repeat. Lovely music.